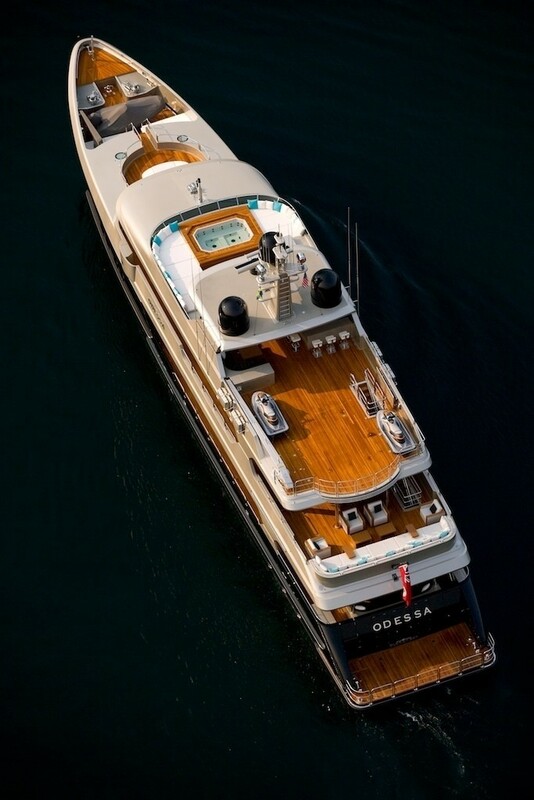 The stylish super yacht M/Y ODESSA is a 48.77m (160’) Christensen motor yacht launched in 2009. She can accommodate 12 guests in 6 spacious staterooms and has a crew of 10. 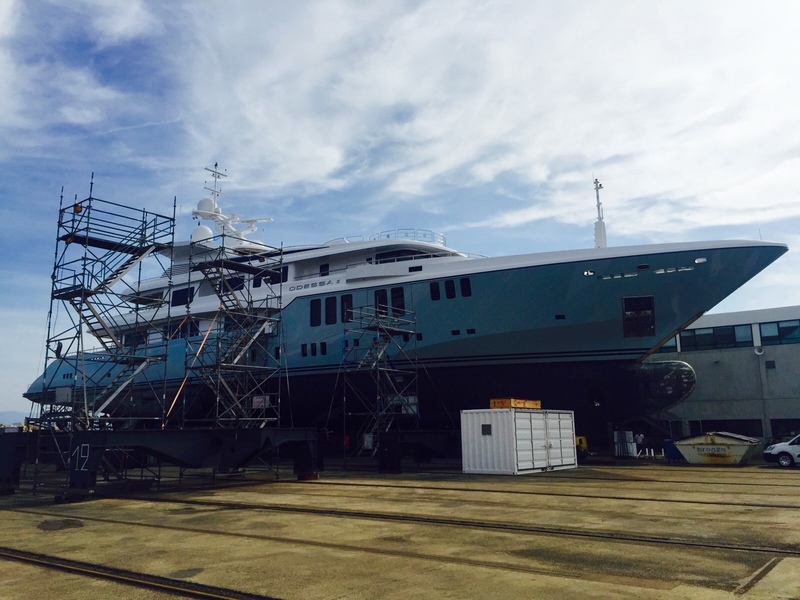 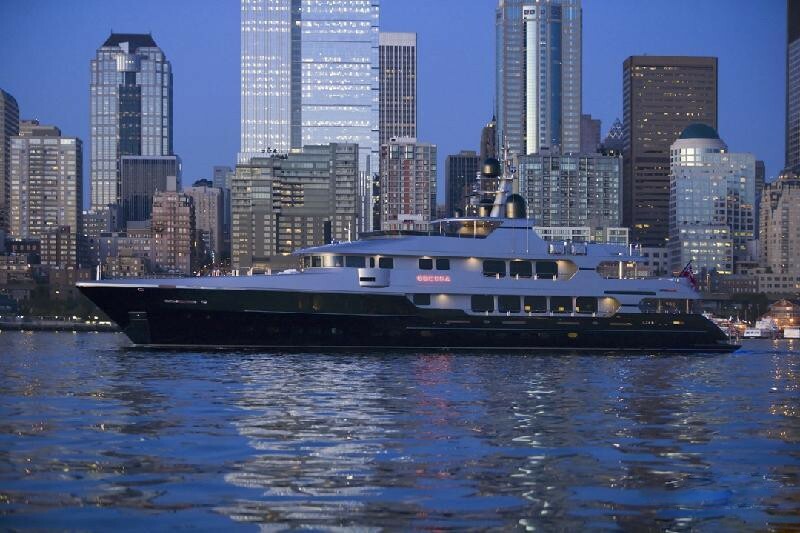 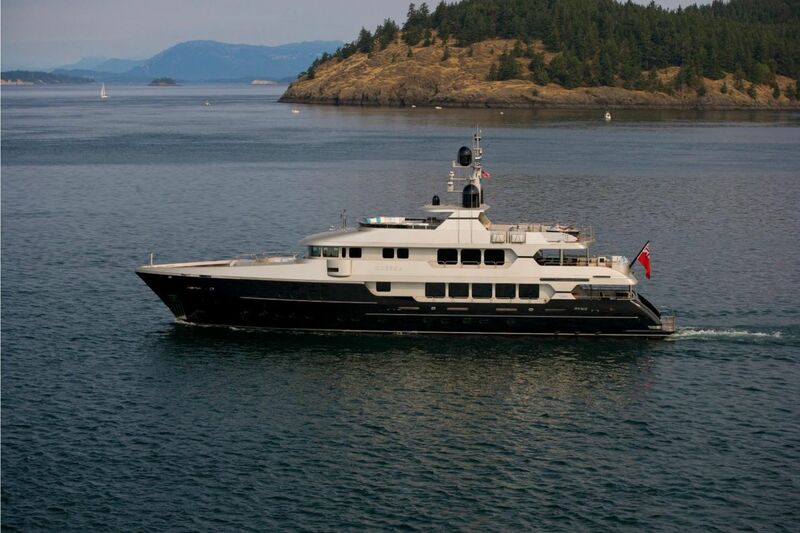 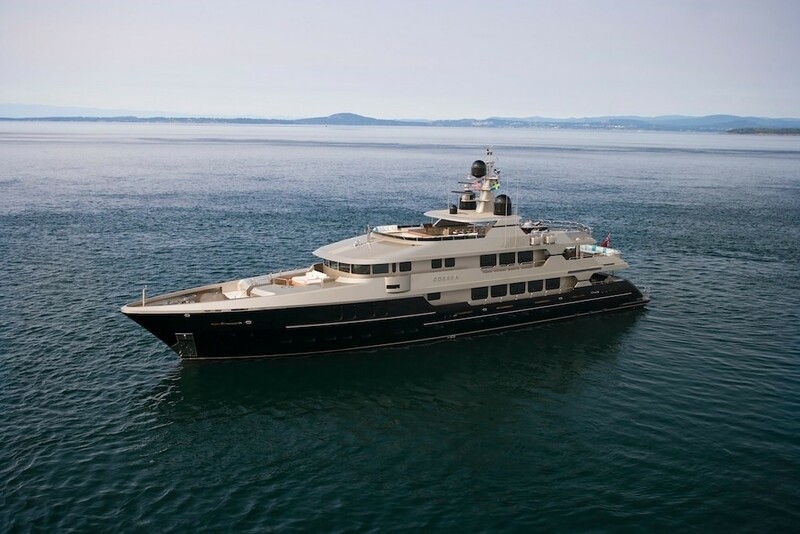 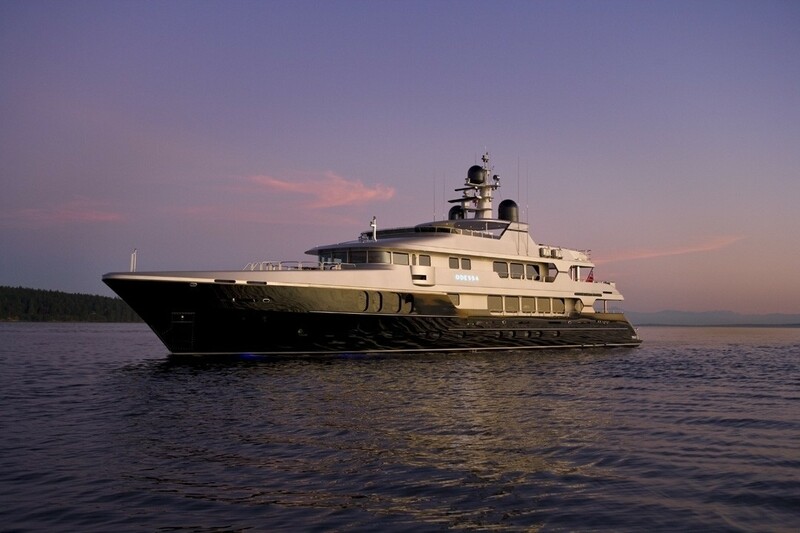 The 160 ft yacht is the first Christensen to feature a black hull and silver painted superstructure. 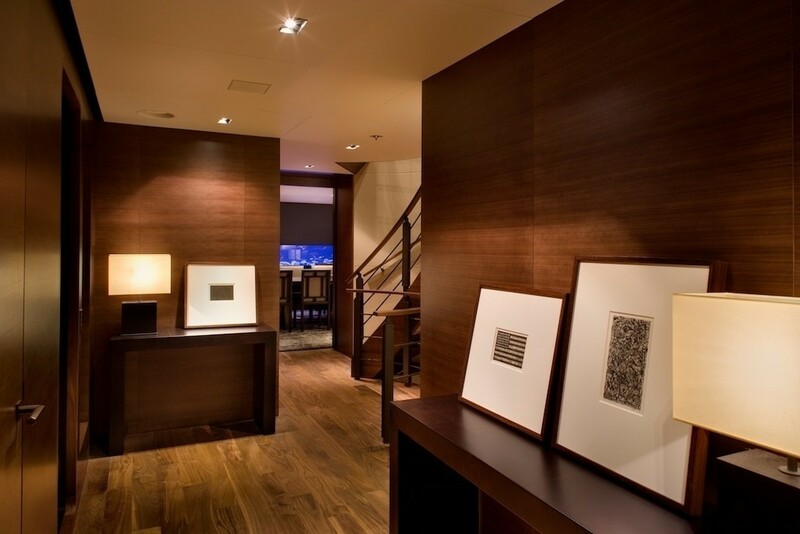 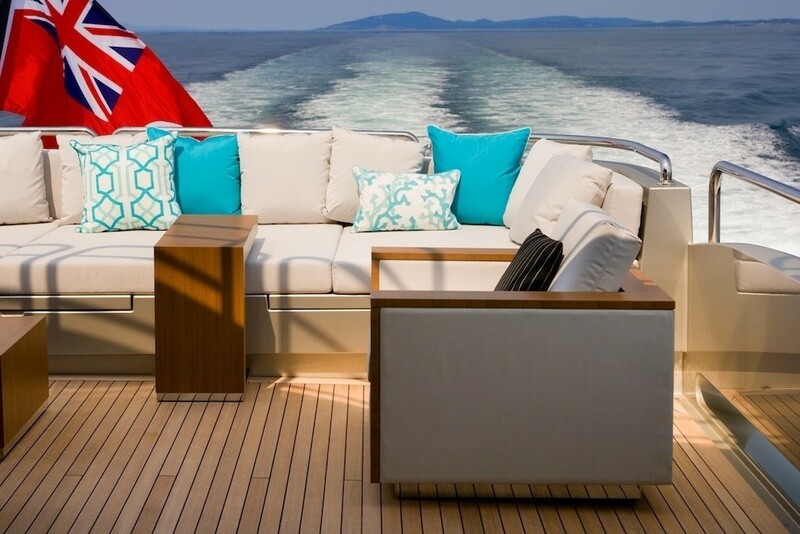 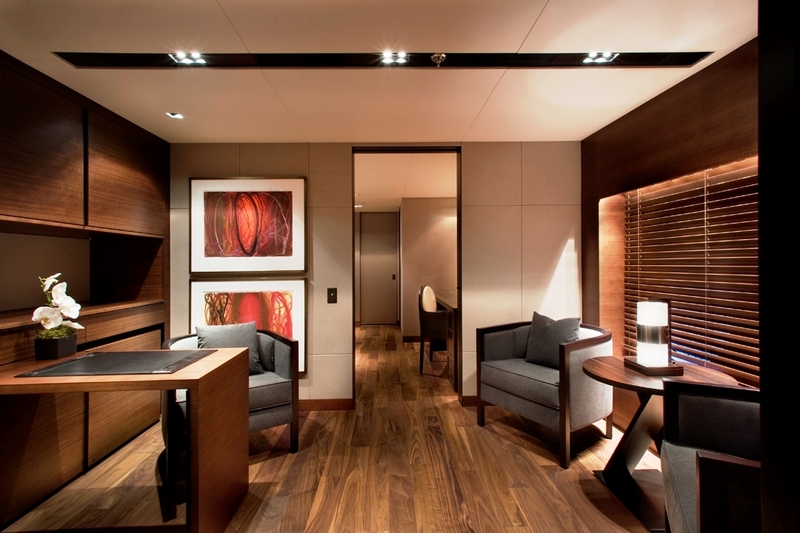 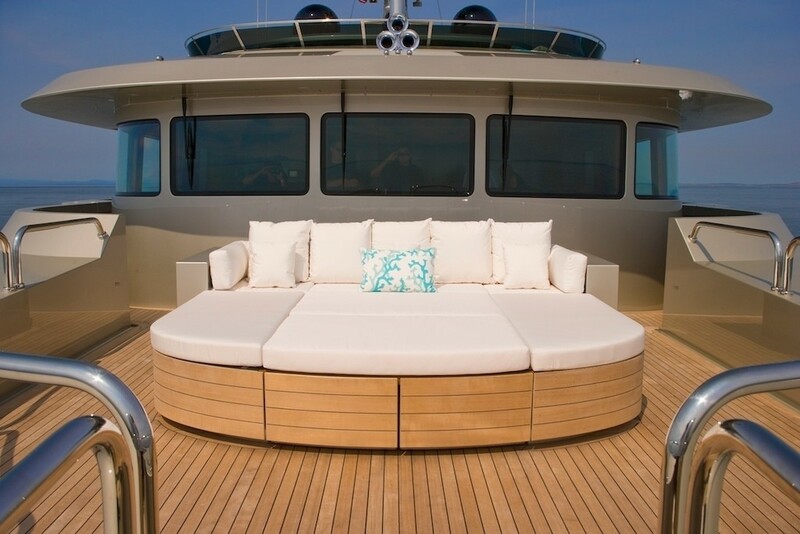 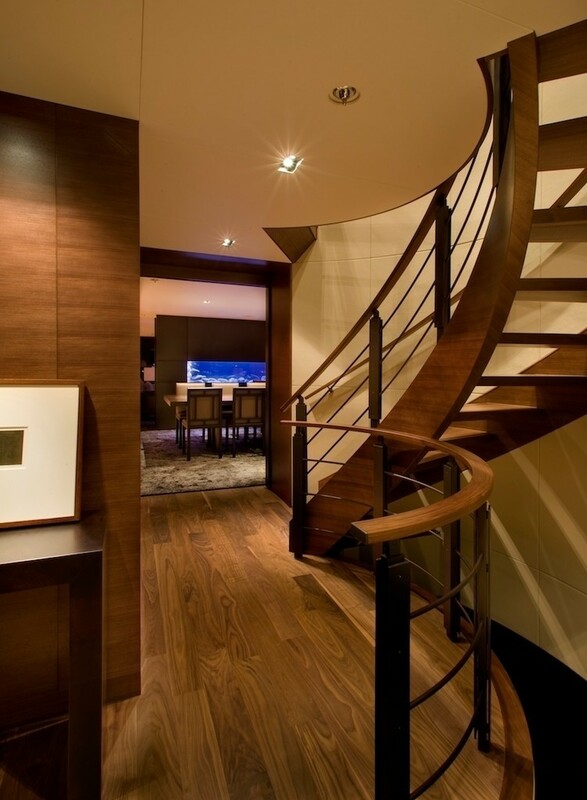 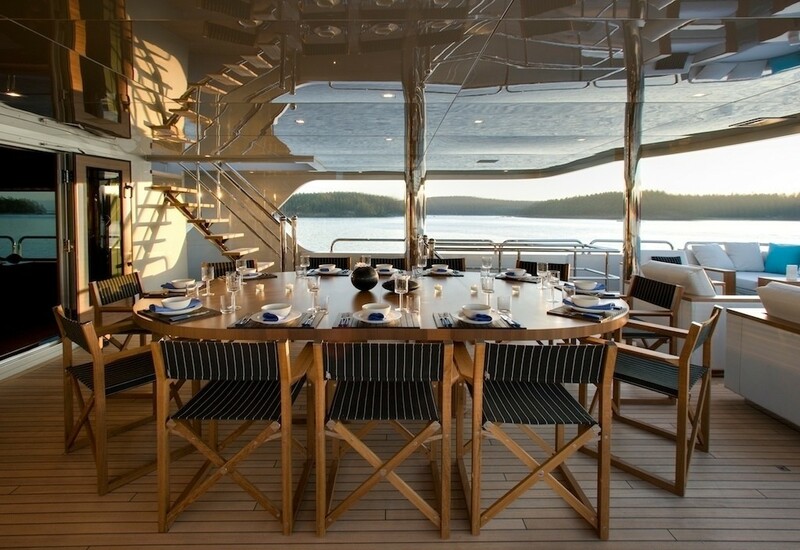 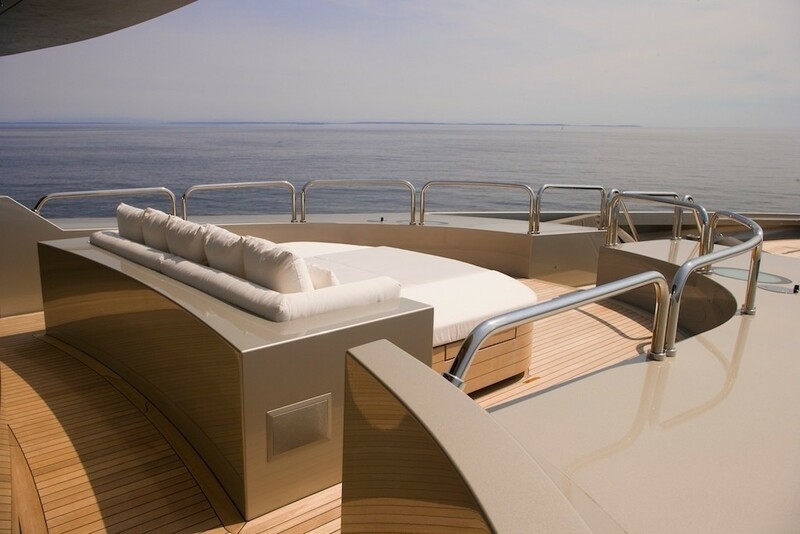 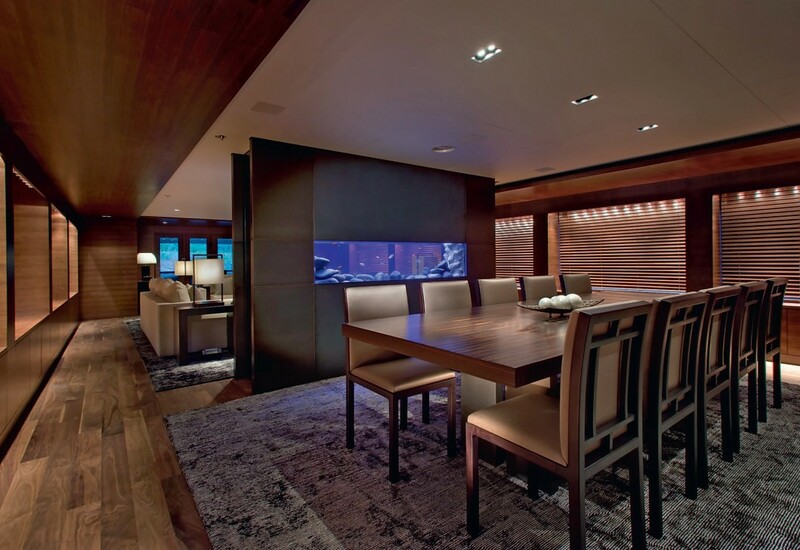 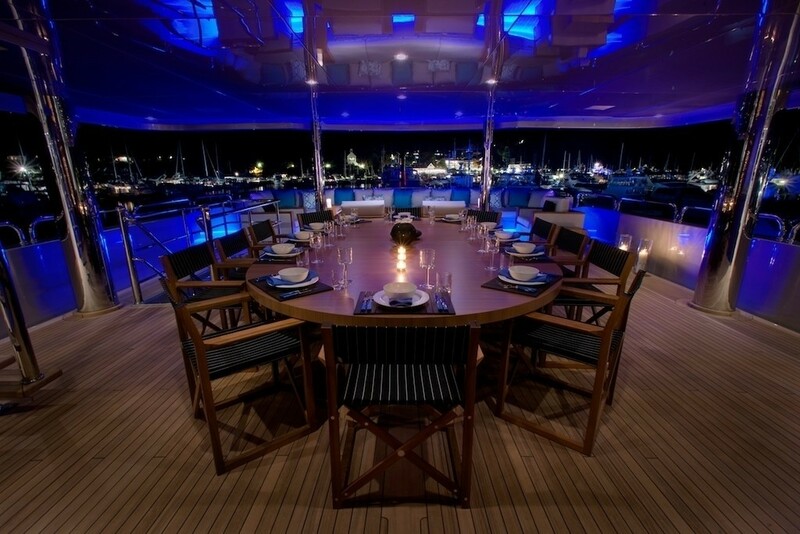 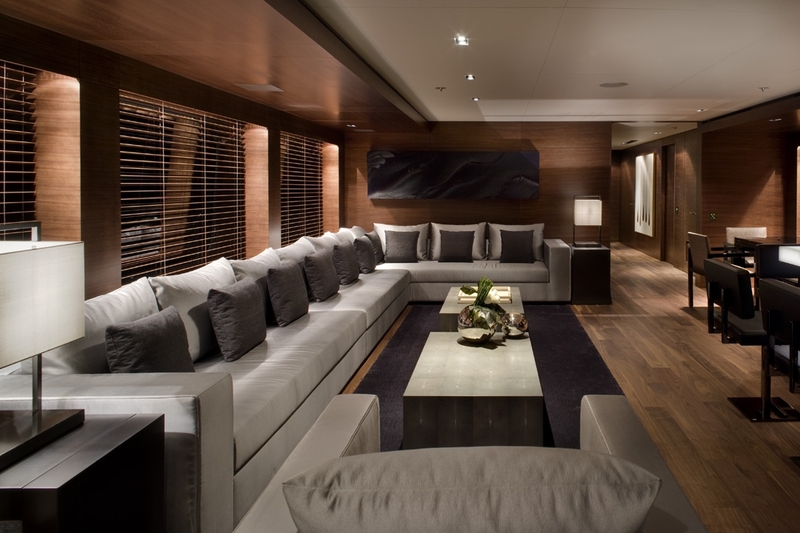 Yacht ODESSA also features interior design by Armani Casa. 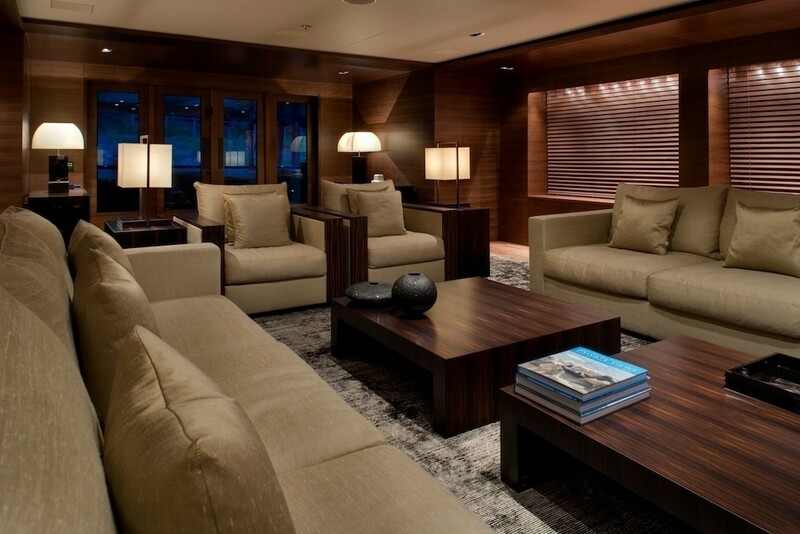 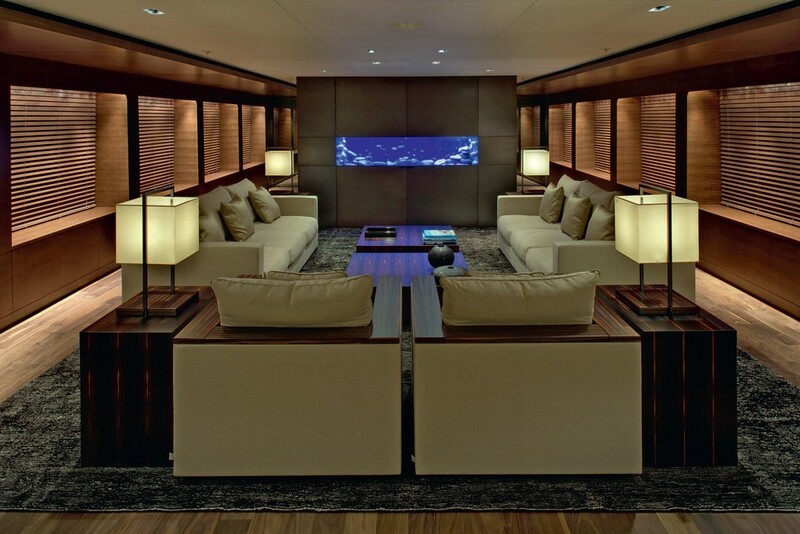 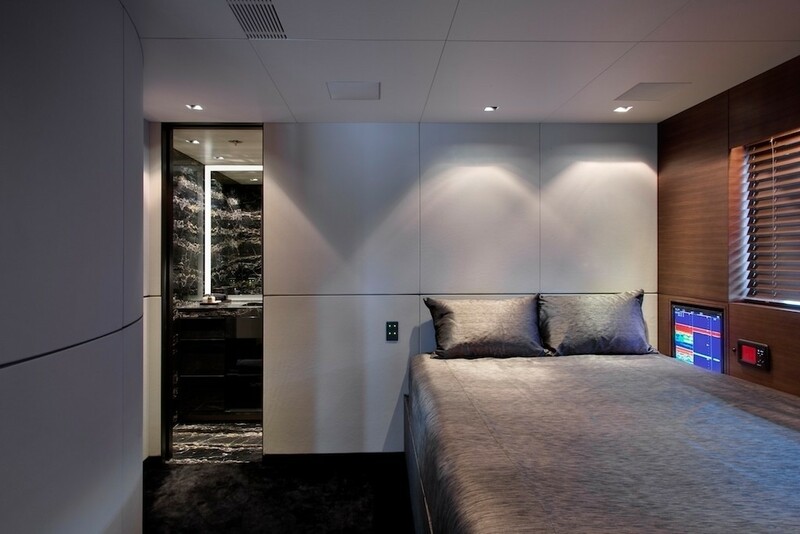 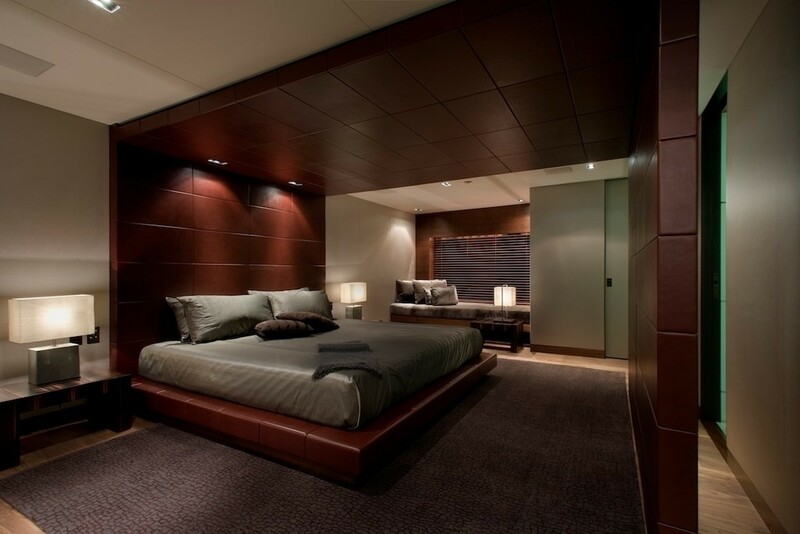 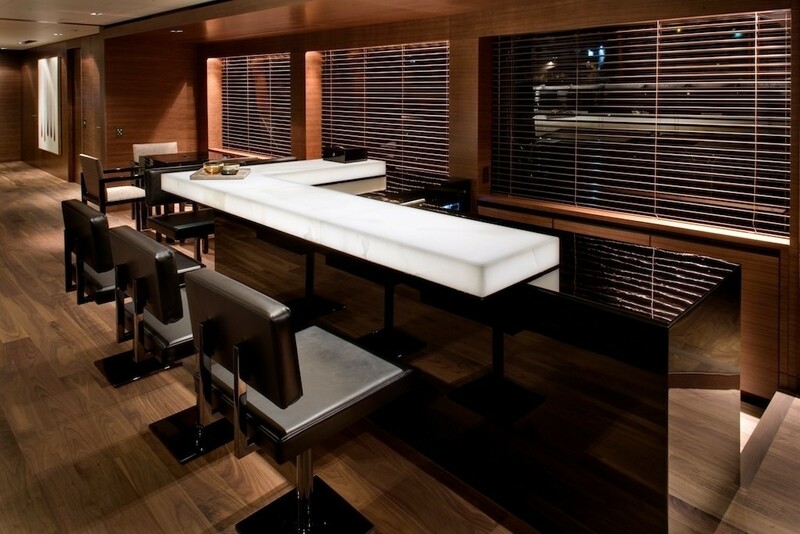 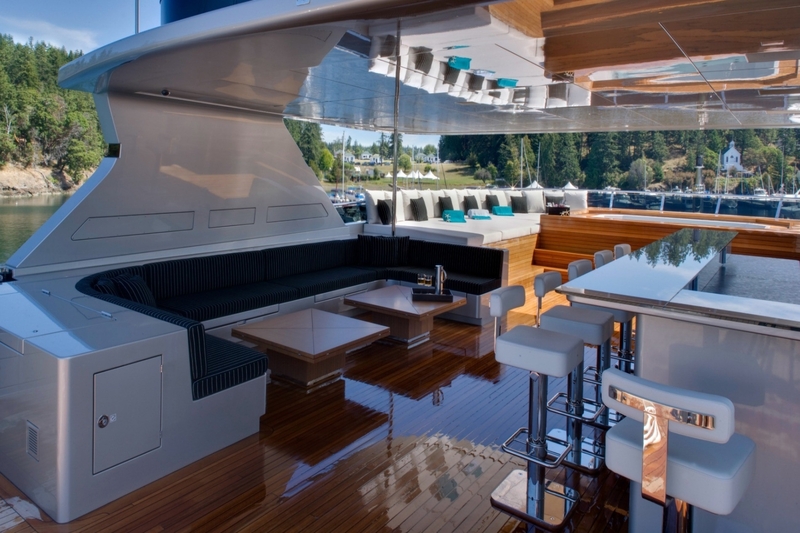 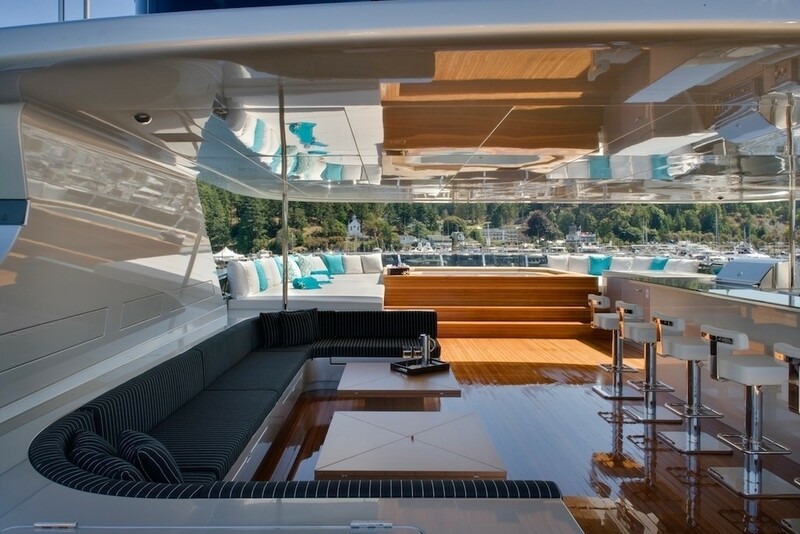 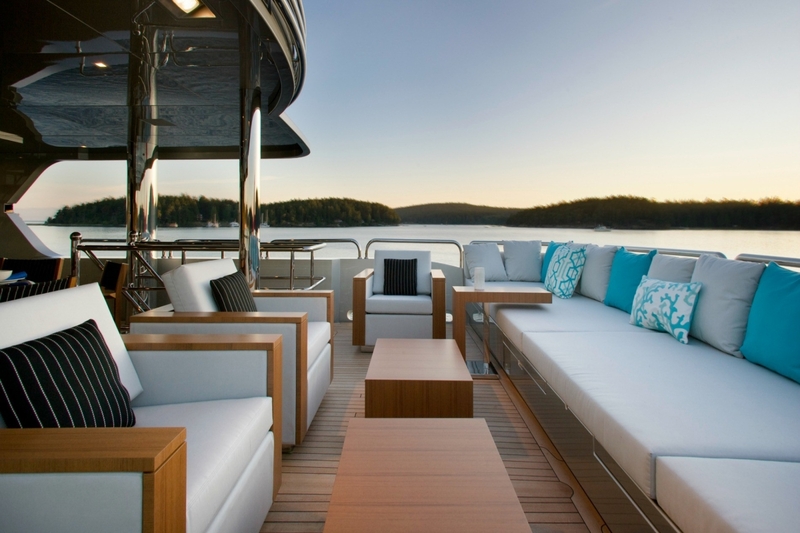 Luxury motor yacht ODESSA has an interior featuring minimalist styling with elegant furnishings by Armani Casa. 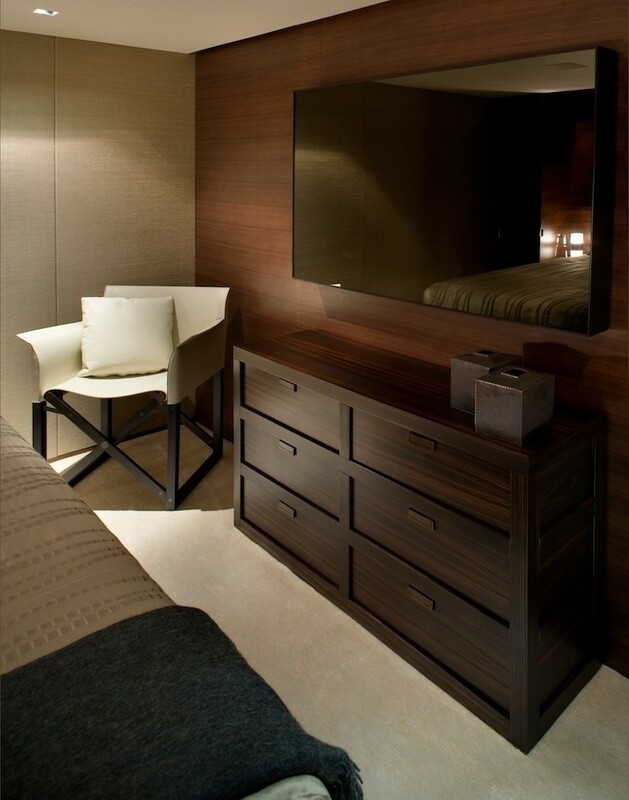 Her sharp and clean lines as well as the attention to detail found throughout her interior, including satin black walnut woodwork complemented with custom stonework done in-house by Christensen craftsmen set her apart. 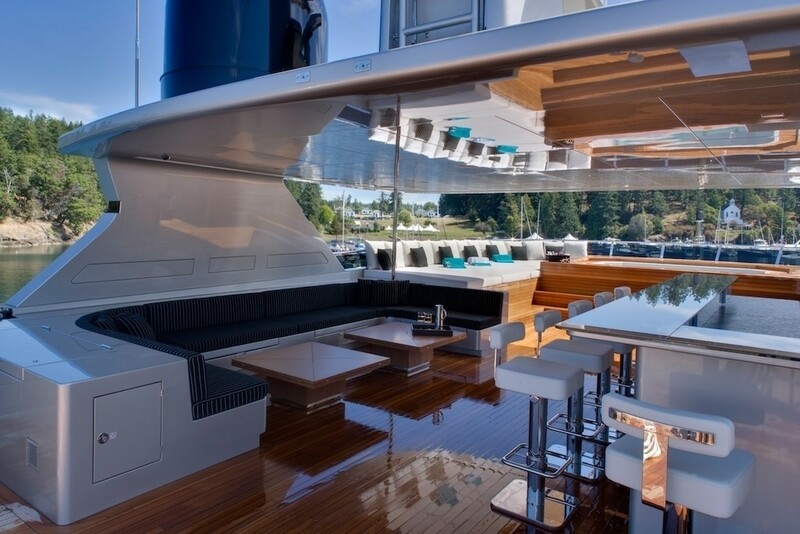 This tri deck yachts spacious exterior decks can be seen in the photos below. She has a huge spa pool on the centerline of the sun deck and vast deck space to thte aft of the sundeck as well as comfortable seating in the shade and a bar. 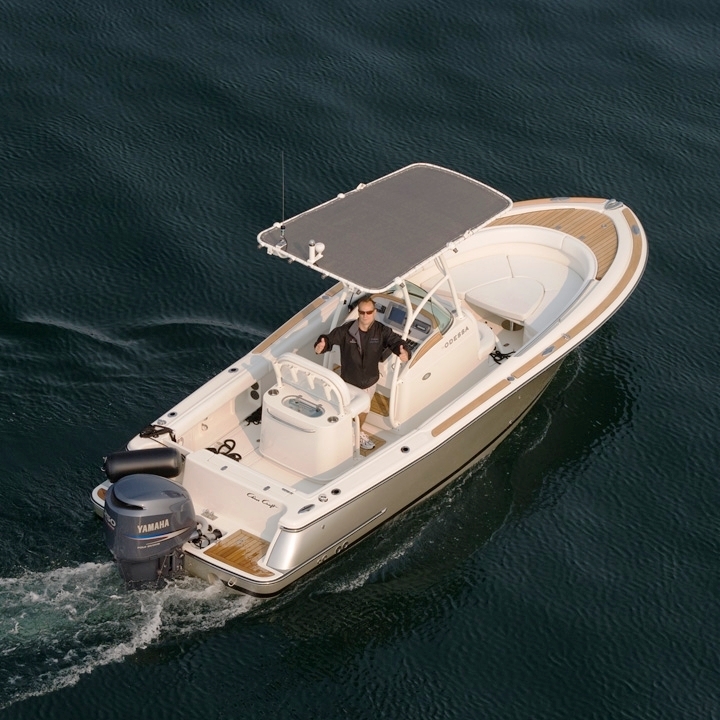 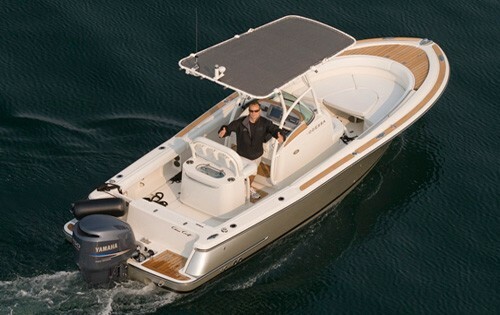 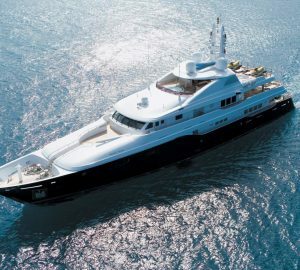 She comes with lots of toys, including a 23ft Chris-Craft runabout, a 16ft Nautica inflatable, a 15 ft sailboat, two personal watercraft, two SeaBobs and much more. 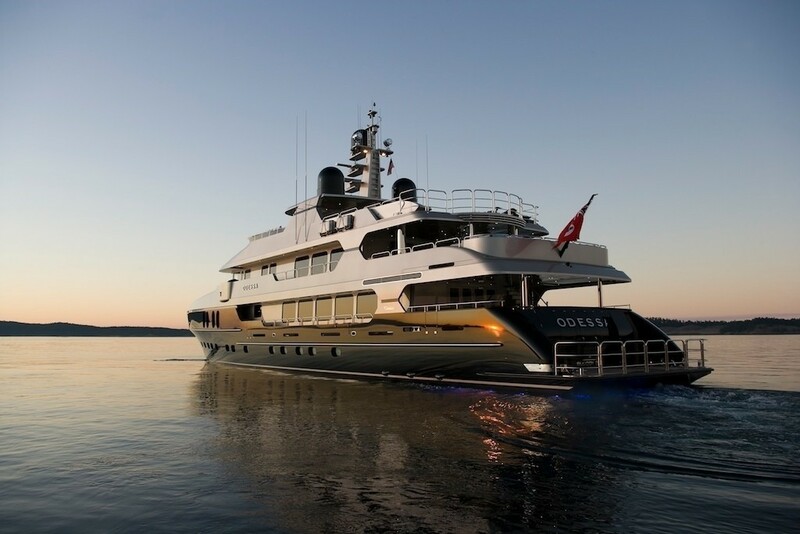 Yacht ODESSA features an all composite, vacuum infused hull and superstructure and is powered by twin MTU 12V 4000 Series engines allowing her to cruise comfortably at 14 knots, while her maximum speed is around 18 knots. 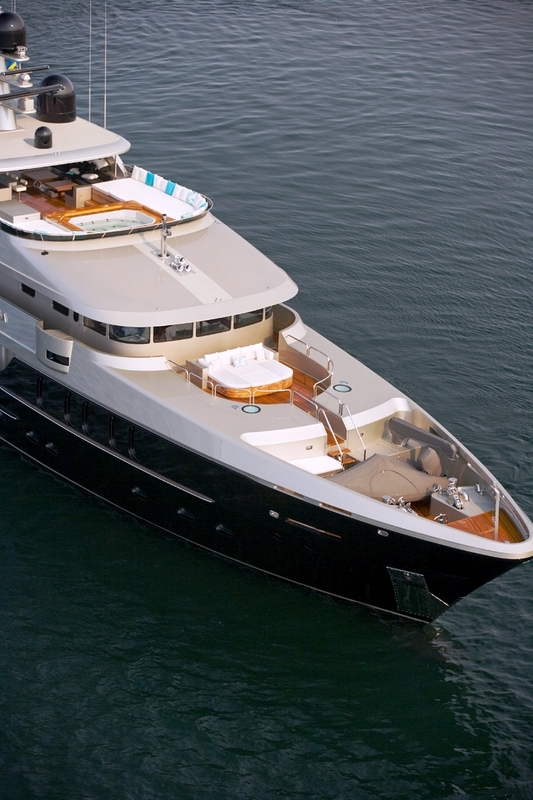 She is fully certified to ABS (Maltese Cross) A1-AMS & MCA Unlimited Cruising. 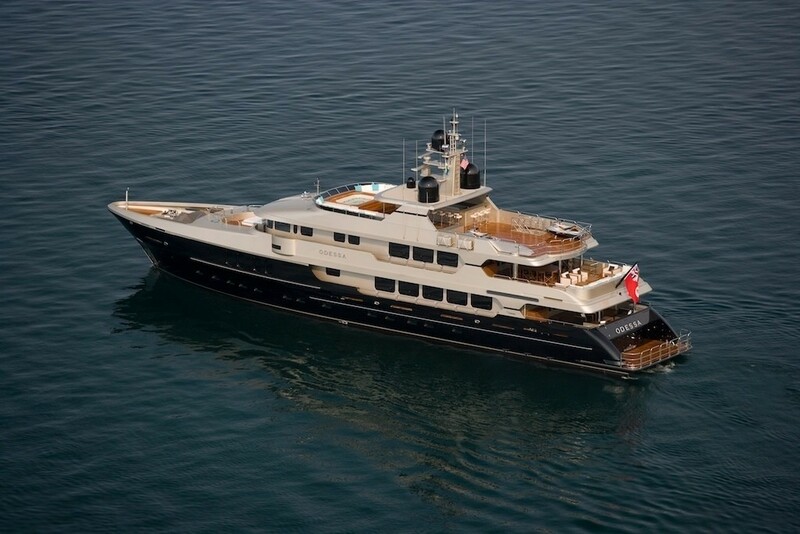 She comes with a professional crew of 10 and will charter in the Caribbean and Mediterranean waters. 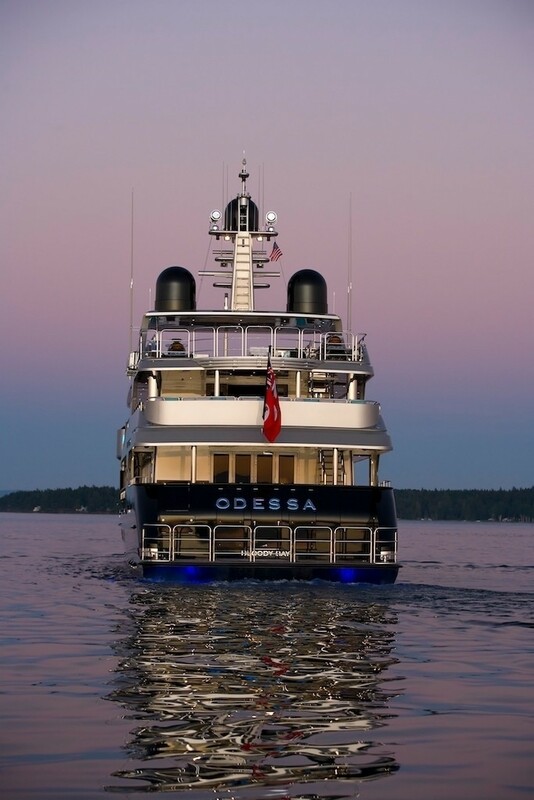 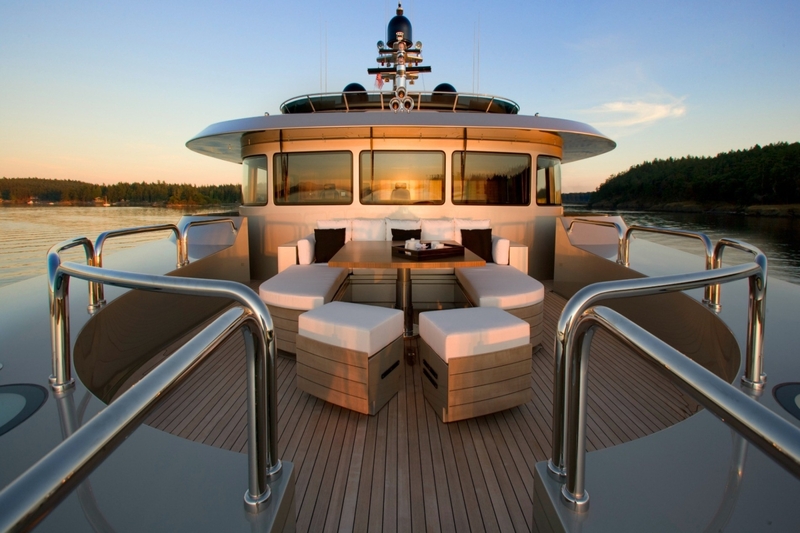 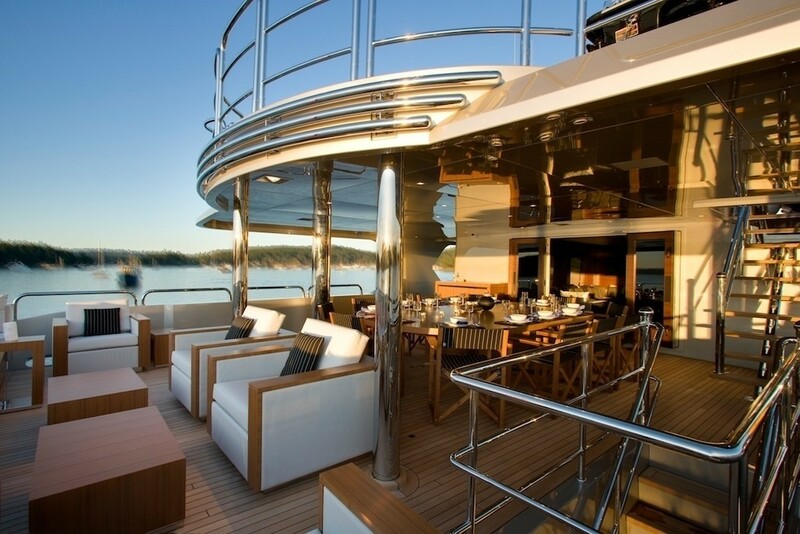 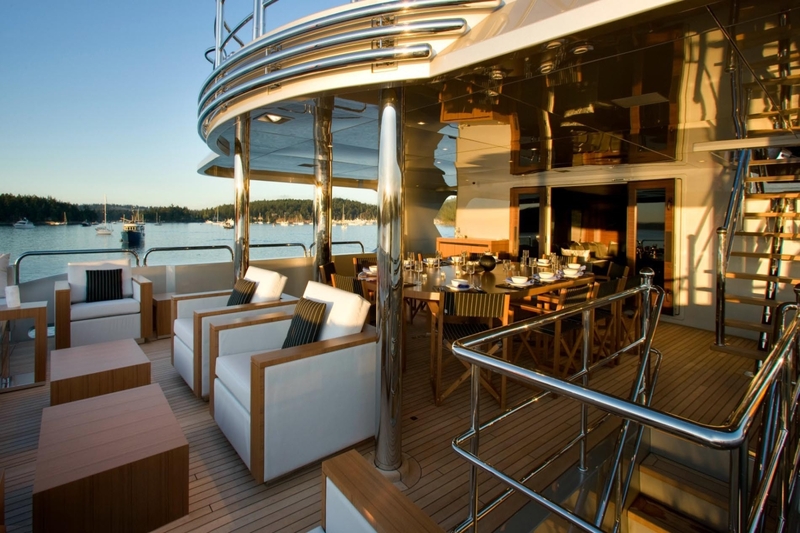 Luxury motor yacht ODESSA has accommodation for 12 guests in 6 staterooms. 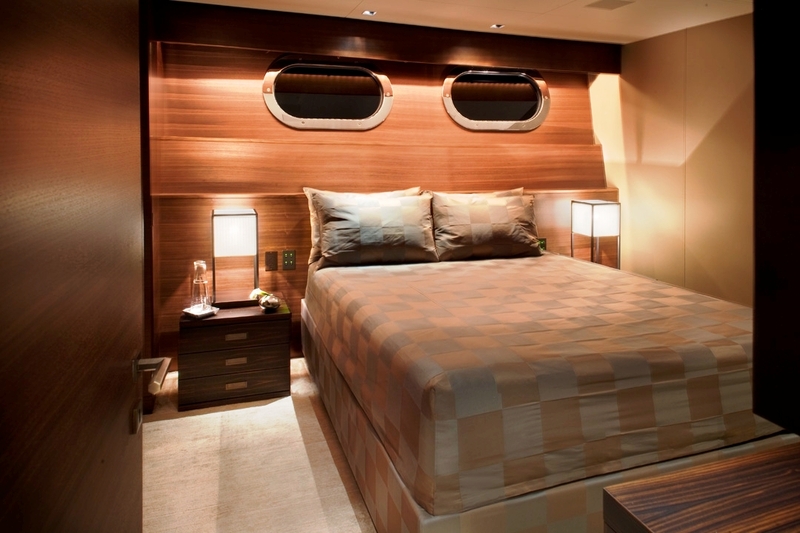 The configuration of the cabins are 5 double and 1 twin. 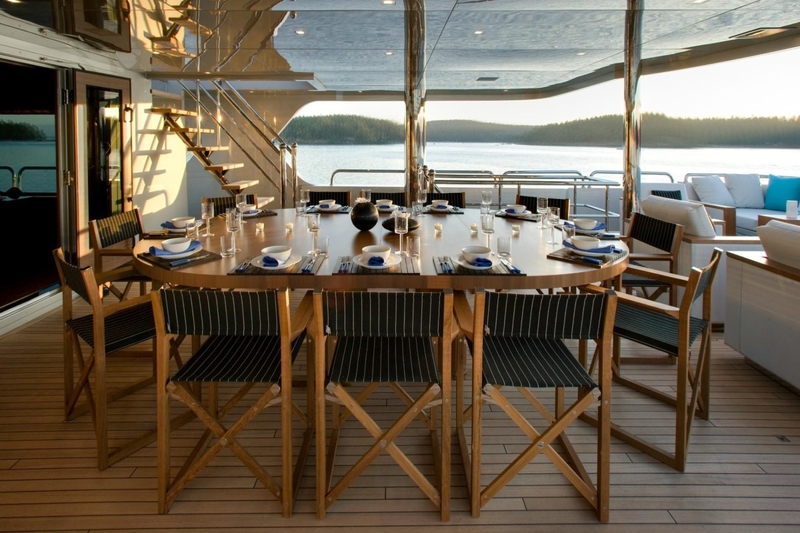 There is a fully equipped office adjoined to the master cabin with a desk, seating and a large window. 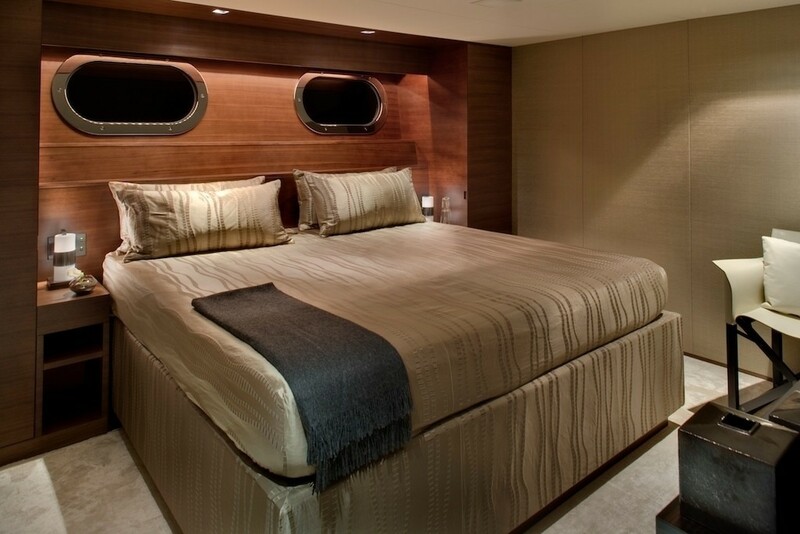 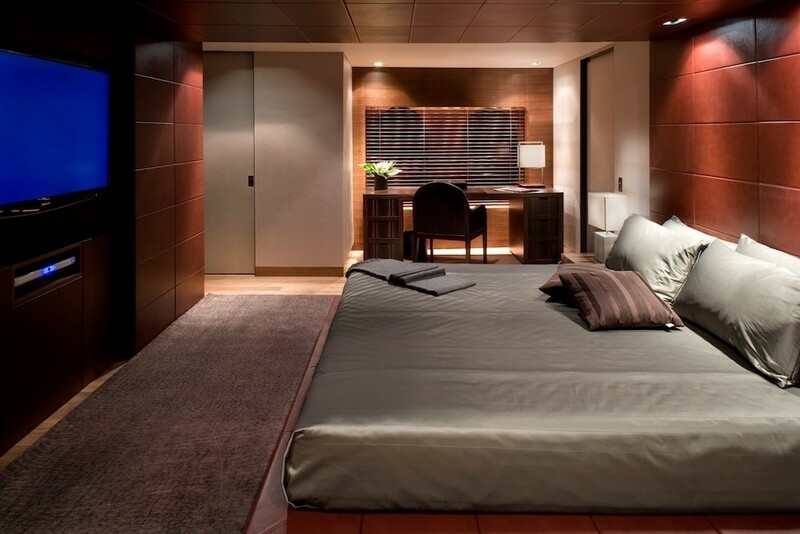 This office leads into the master stateroom that is full width of the beam, has a lowered king bed, a day sofa a private desk and a large flatscreen TV. 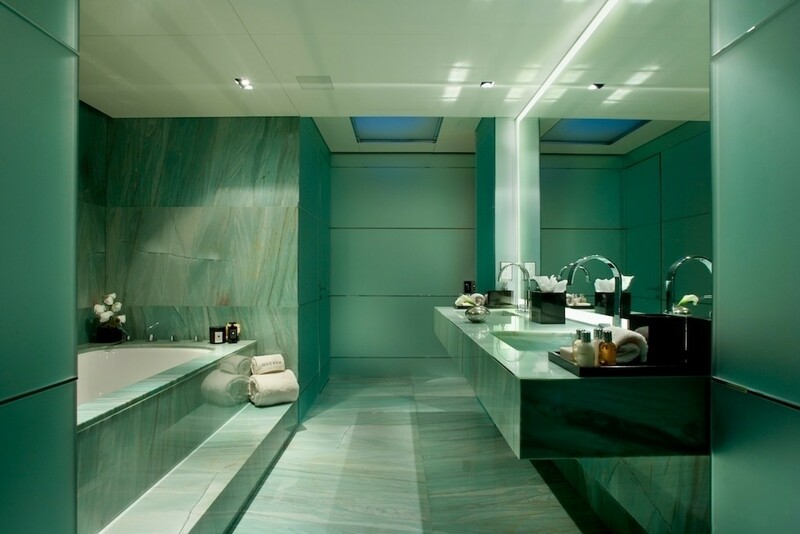 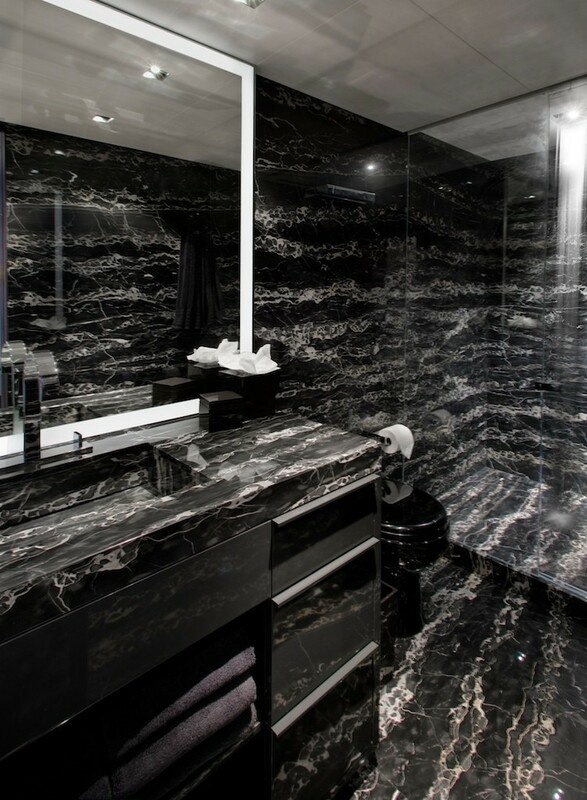 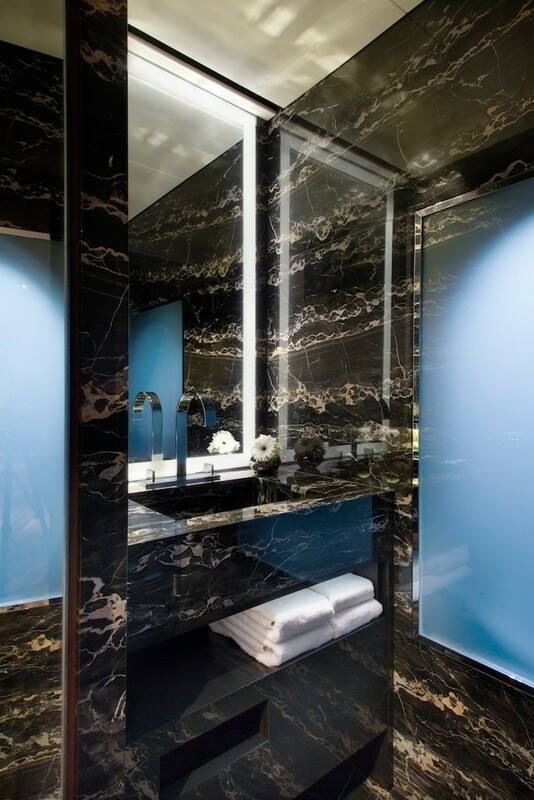 The Master cabin’s ensuite bathroom features beautiful marble, a large bath and his and her sinks. The remaining 4 double and one twin staterooms are stylishly fitted and have their own ensuite. 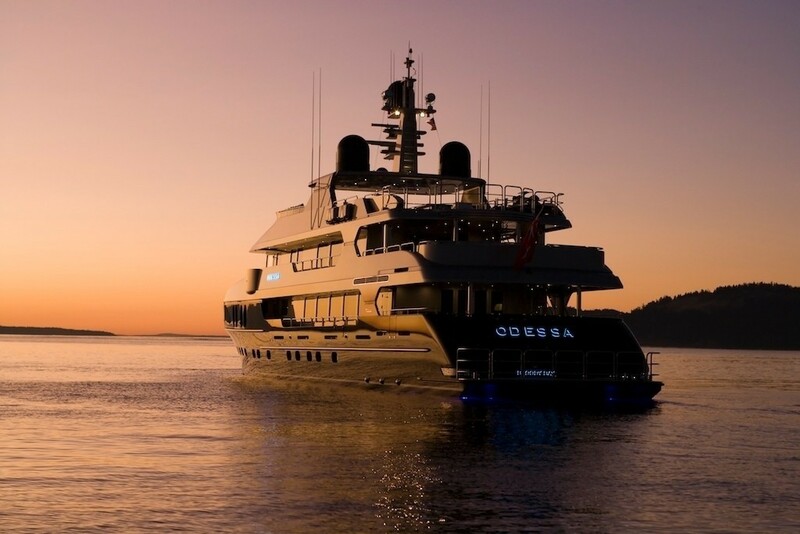 M/Y ODESSA has a wide range of extras on board including the following tenders and Toys: A 23 ft Chris-Craft Catalina, a 16ft Nautica, 2 Sea-Doo Jet Skis, a 15ft Vanguard Laser Sailboat, 2 SeaBob Under water Scooters, Dive Equipment, a Brownies Dive Compressor, (Portable Hooka system, 2 lines of Hooka from yacht) a large water trampoline, Water Skis (multiple), Inner tube and Wake Boards. 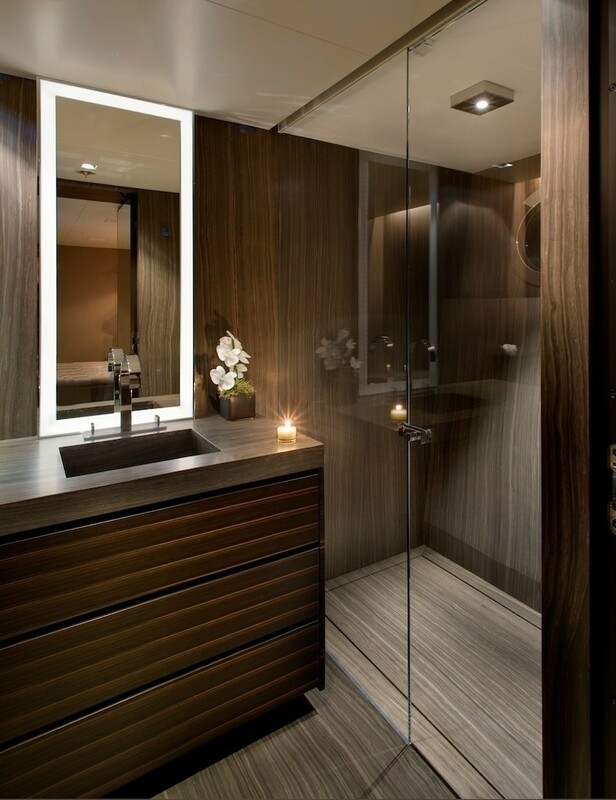 There is also fitness equipment such as a Tread mill, Rowing Machine, Exercise balls, Exercise mats and stretching bands as well as Free weights. 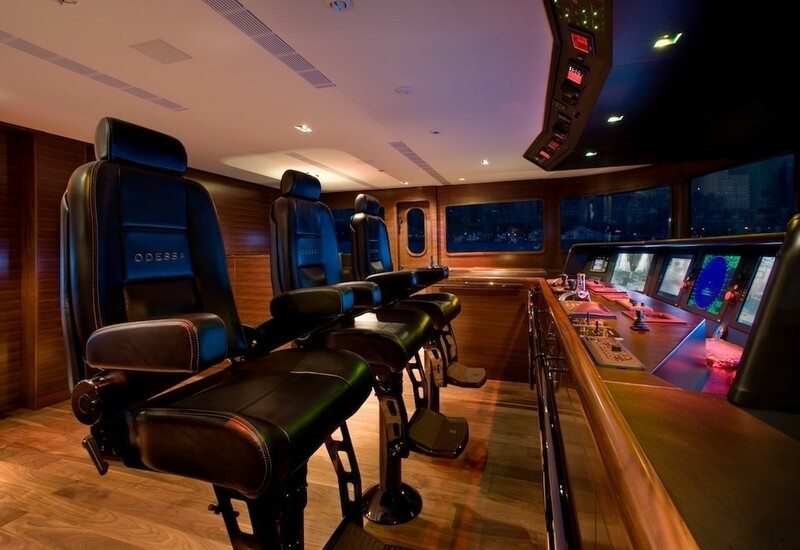 Please contact us for further information on the yachts communications and audio visual systems.